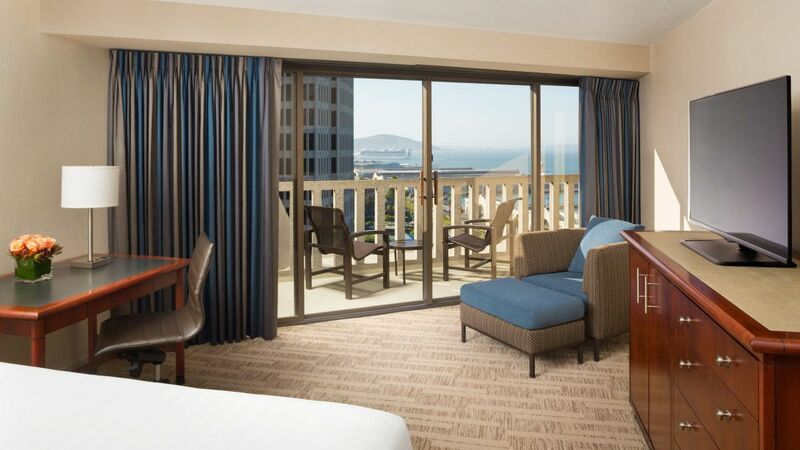 Stay in one of 804 upscale rooms, including 45 suites, on the San Francisco Bayfront. 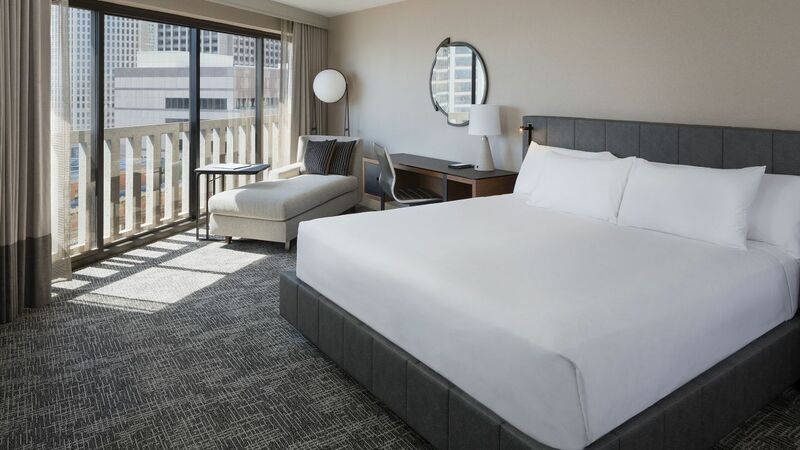 Choose a bayview room and take in the Embarcadero waterfront from your private balcony or a Regency Club room for exclusive access to our rooftop lounge with panoramic city views, daily breakfast, and evening refreshments. 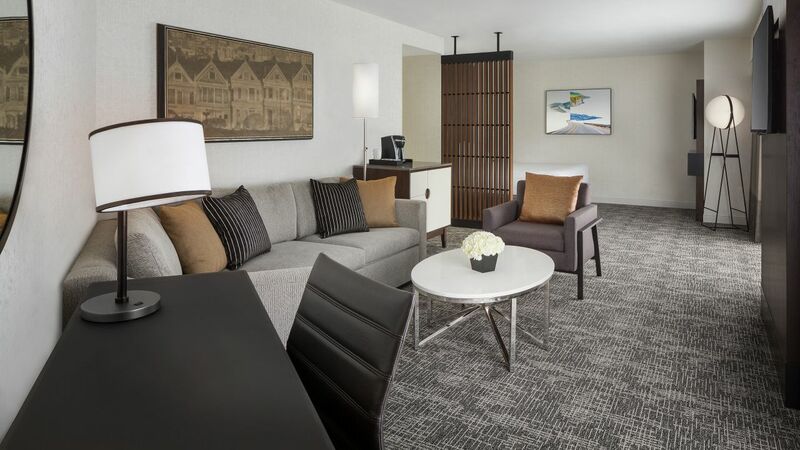 Upgrade to a luxury themed suite for unique artwork and dazzling views of the Bay Bridge. 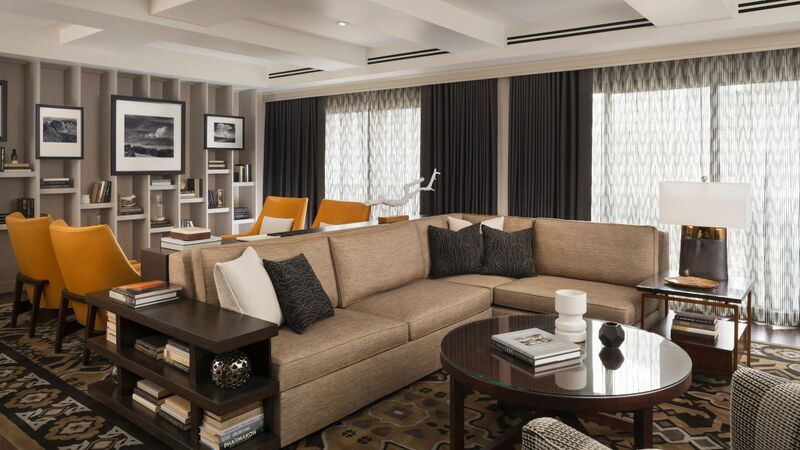 Enjoy luxury living in one of the 1,000-1,500 sq ft Presidential suites featuring balcony, a comfortable sitting area, dining area, master bedroom and Sonos® sound system. This is a premium suite. See World of Hyatt program terms for upgrade eligibility. Relax in one of this 1,024 sq ft uniquely designed luxury suites featuring private balcony, sitting and dining area, separate master bedroom and enhanced entertainment system. This is a premium suite. See World of Hyatt program terms for upgrade eligibility. 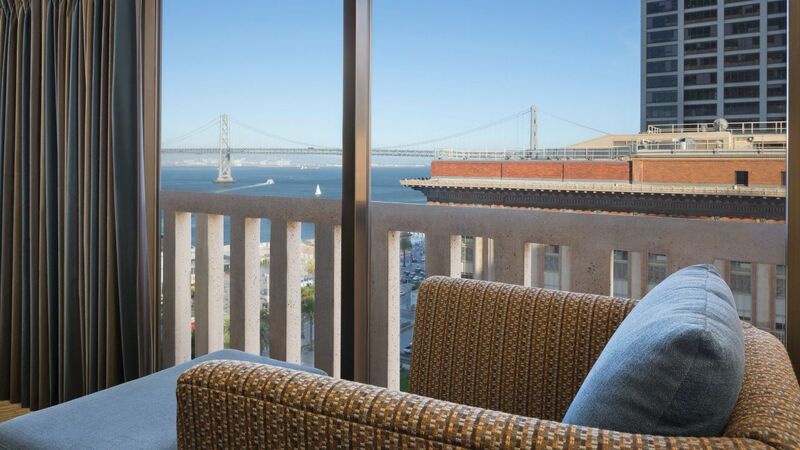 This 589 sq ft suite offers a private balcony with views of the city, Bay or Bay Bridge. Each suite features king bed, separate parlor, and 1.5 bath. This is a standard suite. See World of Hyatt program terms for upgrade eligibility. Boasting 506 sq ft of space offering a studio setting with a sofa, deluxe King size bed and floor-to-ceiling windows overlooking the city and Bay Bridge light display. This is a premium suite. See World of Hyatt program terms for upgrade eligibility. 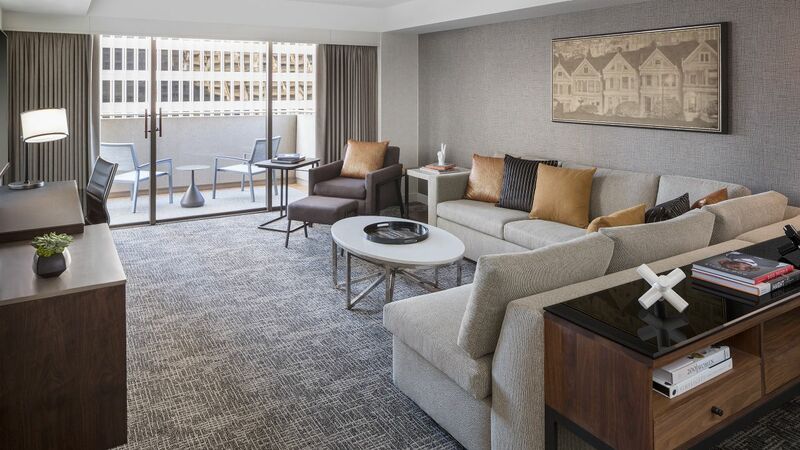 Relax in this 385 sq ft of guestroom with modern amenities and take in the stunning Bay view of San Francisco in the comfort of your own private balcony. 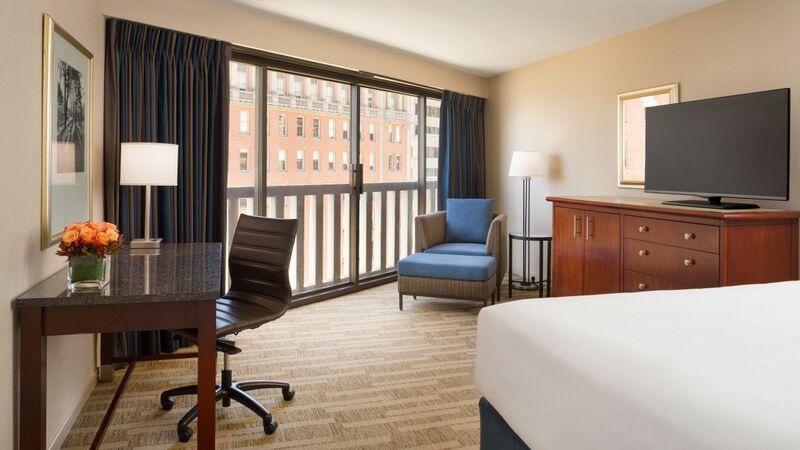 This 385 sq ft guestroom offers stunning views of San Francisco waterfront and features a spacious work desk and a host of modern amenities. 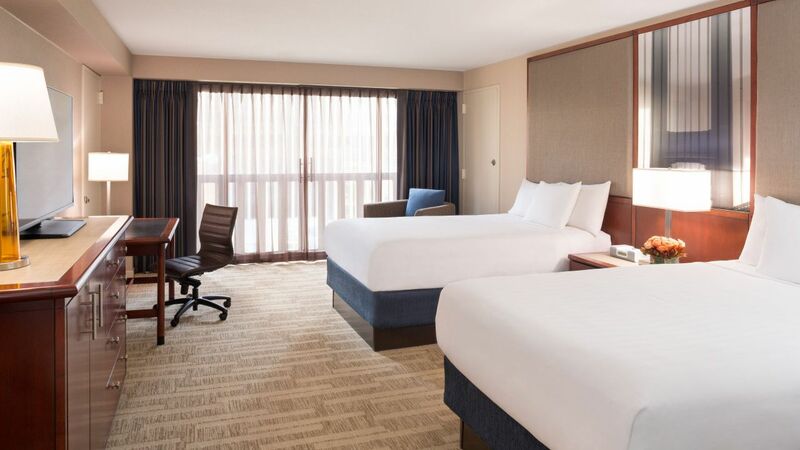 Enjoy sweeping views of San Francisco bay in our 385 sq ft modern and stylish guestrooms with 2 deluxe Grand Beds and residential style amenities. Pamper yourself within this 385 sq ft room and enjoy private access to Regency Club lounge offering free breakfast and panoramic view of San Francisco. 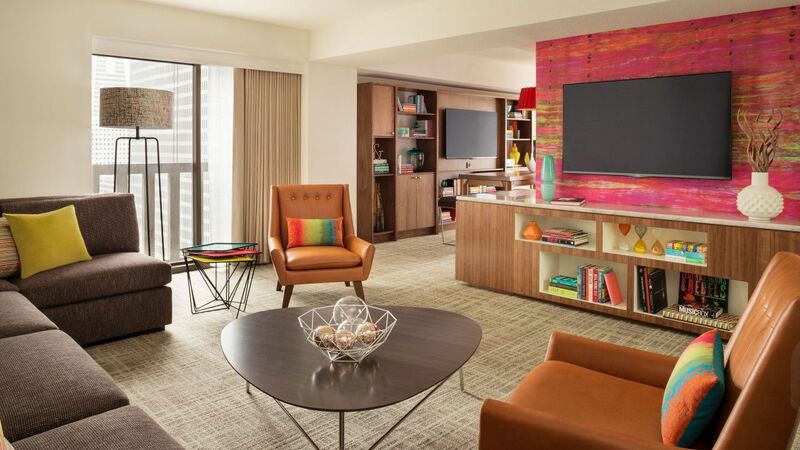 Upgrade your stay to this 385 sq ft room and enjoy exclusive amenities such as breakfast, hors d’oeuvres and all day beverages at Regency Club Lounge. 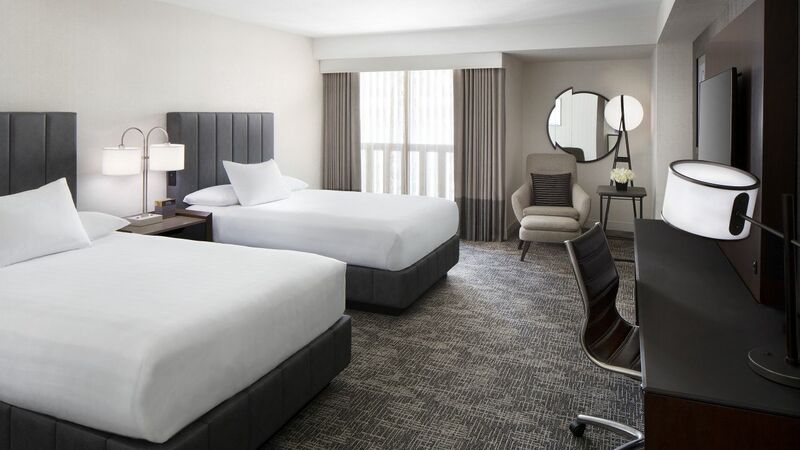 Relax in this 385 sq ft room, with one king bed, a spacious work desk, floor-to-ceiling windows and modern furnishings. With 385 sq ft of space, the Standard Two Double Beds room offers two irresistible Grand Beds and a workspace with enhanced lighting. Offering 385 sq ft of space with a King size bed, bathtub, spacious work desk and fully-accessible features. Offering 385 sq ft of space with 2 double beds, bathtub, spacious work desk and fully-accessible features. Offering 385 sq ft of space with one king bed, a roll-in shower, spacious work desk and fully-accessible features. Offering 385 sq ft of space with 2 double beds, a roll-in shower, spacious work desk and fully-accessible features. Relax in this 385-square-foot room, featuring an 80-square-foot private balcony offering views of San Francisco's city lights.